Eggs need regularly and consistently turning in order to achieve a successful hatch rate - at least 2-3 times per day in the 1st phase of incubating. 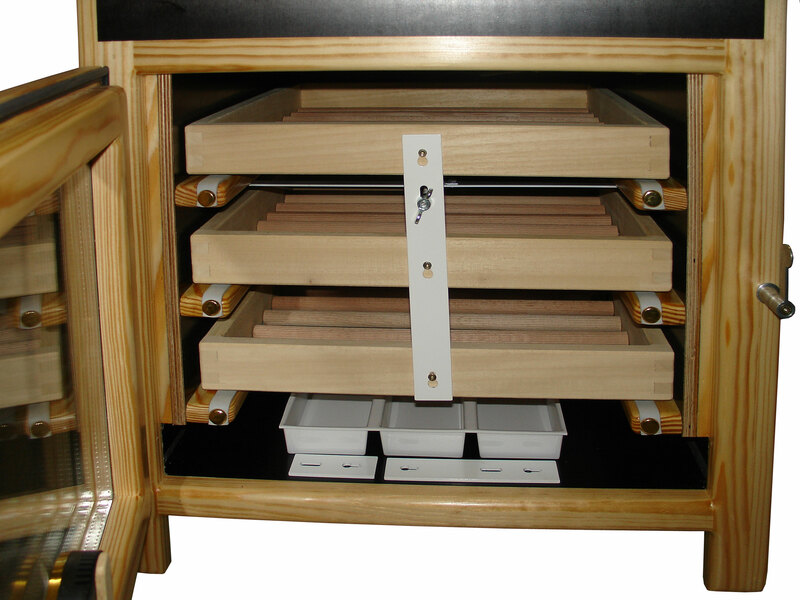 If you choose your HEKA-Incubator with semi-automatic egg-turning, you don't have to manually turn each egg, but you push and pull the trays. Inside the tray the eggs sit on fluted wooden bars, which themselves lay on the left and on the right on rubber-strap. By pushing or pulling the tray, the bars of the tray turn which turns the eggs. This option is suitable if you have the time to turn the eggs manually and you will not need to be away for a day. If you choose your HEKA-Incubator with fully automatic egg-turning, you don't have to do the manual turning described above. Behind the incubator, there is a turning-motor, which is connected to the trays. 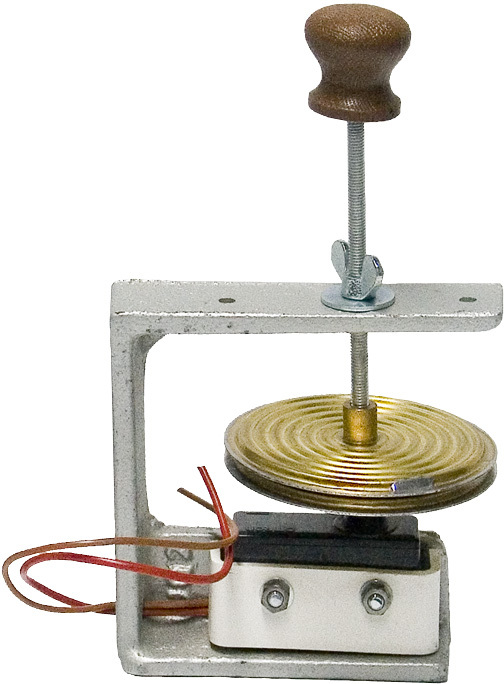 The motor pushes and pulls the trays automatically forward and backward. For best hatching results, all our incubators turn the eggs 12 times a day. The automatic turning is deactivated by a switch for the hatching-phase. 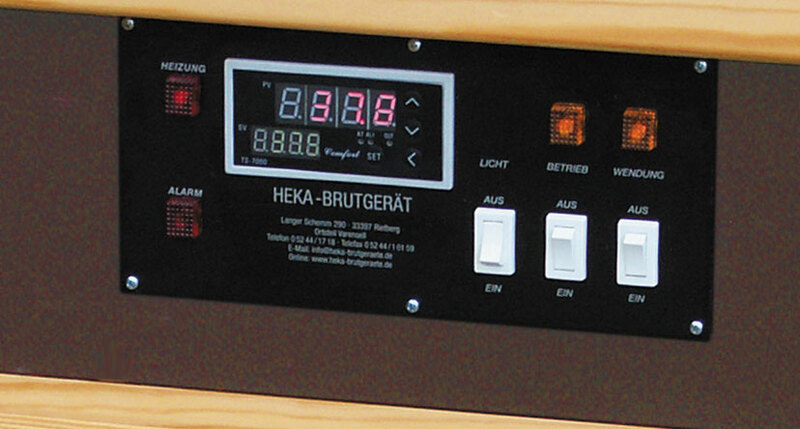 With electronic (manual) regulation the temperature is set by the silver adjusting knob on the front and the resulting temperature is shown on the analogue thermometer dial on the front of the incubator. This system requires some degree of attention to be paid to the incubator to ensure that the temperature does not stray outside of the correct range. Consistent variances of only 0.1 C can impact the hatching time and success of the hatch. The Micro-processor (Automatic) Temperature Control provides a great deal of control convenience and consistency of results, which we recommend for those conducting frequent incubating. The temperature can be adjusted in tenths of a degree. Both the target set-temperature and the actual current-temperature are shown simultaneously. Further, an alarm is included. You set the alarm temperature digitally and if this temperature is reached, the alarm-control-light flashes up (acoustic alarm on enquiry). NOTE: The UK model has English on the Panel. Improved hatch rates are achieved through daily "cooling" of the eggs, mimicking the parent leaving the nest. With incubators without a cooling timer, if you wish to perform a daily cooling period you have to do this manually by opening the door for 20-30 minutes. If you choose your HEKA incubator equipped with a cooling timer, you don't have to do the cooling by yourself (with the risk of forgetting to close the door), but the incubator automates the process. It is essential, that all other functions of the incubator remain enabled, such as ventilation, so only the heating is disabled. A double thermostat brings an even higher level of safety to your incubator. If the main thermostat should allow the temperature in your incubator to rise too high, the double thermostat switches off the heating and prohibits damage to the eggs. This adds an additional level of reassurance to the professional breeder. 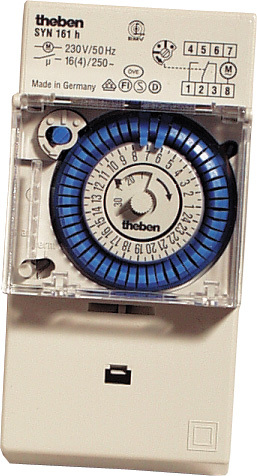 For incubators with electronic regulation the thermostat is a membrane-regulation type. 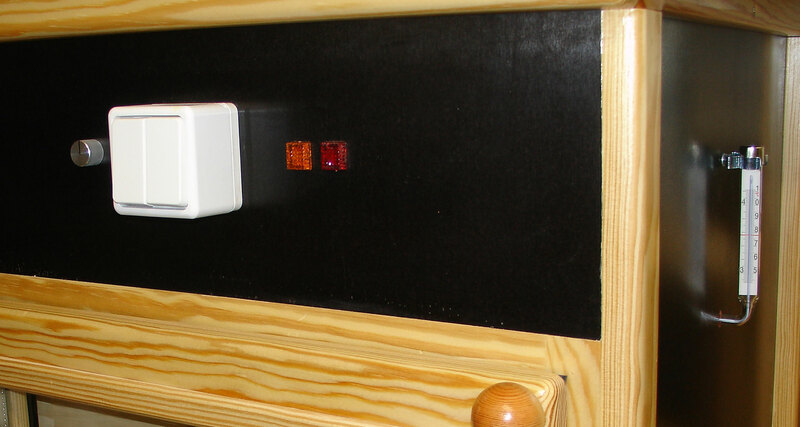 In Micro-Processor Controlled incubators the double thermostat is integrated into the control-system. The cutoff value for the double thermostat is preset by us - you don't have to reprogram any values, the incubator is ready to use. The lower insulation value of the single glazing is advantageous in hot countries, because the incubator can lose excess heat through the door. In Europe, the double glazed door is better. The insulation value is much better, reducing power consumption. Further, insulated glazing does not steam up in the normal operating parameters of incubating.